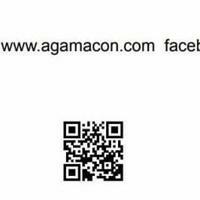 4536 Washington Rd, Ste 4 Evans, Georgia 30809 Saturday July 14th, 2018 AgamaCon is holding a mini-con at XP Gaming Lounge in Evans, GA! Come check out their awesome setups, PCs, consoles, VR and more! XP Gaming has extended an offer to our event attendees, $5 for all-you-can-play during the mini-con. Hope to see everyone there!